HomeHeadphone ComparisonsSennheiser Momentum vs. Beats | DAY AND NIGHT!! Sennheiser Momentum vs. Beats | DAY AND NIGHT!! Before we get into the Sennheiser Momentum vs. Beats comparison, grab a snack, sit back and relax because.. The Beats by Dre phenomenon has spawned an unfathomable amount of Beats headphones. It’s almost as if there’s a guy somewhere just pooping them out at will, in rainbows. Lol. This review will not cover any In-ear models. The models underlined in green are the only that have received overall positive reviews on amazon. I honestly wouldn’t even bother with the other models. The problem with the Beats line is that most of their models aren’t any better than sub $100 cans, but they’re priced significantly higher. Therefore in most cases buying Beats is a rip-off. There I said it. However, the Mixrs are on of the outliers. They are one of the best models in the series because they have a significantly different sound signature. They aren’t as bass heavy and muddy like the others. The Mixrs are more balanced across the spectrum and received the best reviews out of all listed here. Update: I would consider the Beats Solo 3’s to be the strongest out of the series. Learn more: Beats Solo 3 Review. Clean, toned down bass. No longer is it muddy or overblown. Impressive mid-range for the Beats line. Good treble. Swiveling ear-cups come in handy. Unanimous complaint was clamp force and tightness, causing your ears to hurt and become red. They have a tendency to break down over time. Frayed wire, no sound in one side, and paint chipping were all common complaints. None of the parts are replaceable. Issue of hearing static at times. None, these are Beats headphones. They have a better sound than the studios or solos, but aren’t as comfy. They should be stretched first to reduce clamp force. Make sure you’re buying from an authorized dealer. There are a lot of counterfeit models around. They may just be a fashion statement, as many people liked the look of them but not much else. Should not be marketed as DJ headphones, as they aren’t comfortable or durable enough to make it long term. Hard to plug into phones with a big case like the Otter Box. They come with a pouch for the cables, a hard case, and a micro fiber cleaning cloth. A good sound with some comfort issues. Beware of fake models. This examination takes into account the original Momentum and Momentum 2.0. It does not include the On-Ear versions. I believe the Momentum 2.0 Over Ear (Wired) to be the headphone most worthy of your dollar. Both are closed back headphones. Both come with an L-shaped plug and a straight plug, and both terminate in 3.5mm. Fit. The Mixrs are Supra-Aural (On-Ear), while the Momentum 2.0’s are Circumaural (Around the Ear). Do keep in mind that the Momentum’s also come in Supra-Aural models as well. Pictured below. The Momentum’s have more of a sense of air, and room to breathe. The Mixr’s by contrast are more boxed in sounding, typical of Closed back headphones. Closed back vs. Open Back headphones. The Momentum’s are more spacious. Treble. The Momentum’s are a bit dull on the treble end of things. They have a recessed upper treble that is not easy to EQ. As is, it lacks that harmonic detail that the Mixr gets right for the most part. They may have a tendency to become fatiguing/Sibilant over time. What does Sibilant mean? Comfort. The Mixr is are not nearly as comfortable as the Momentum. Overall Sound. The Momentum’s are more detailed and natural overall, with a better sense of precision. The Mixr tends to emphasize the bass end as well as the rhythm and background instruments rather than the singer. The Mixr also seems to have a duller sound overall, with more of a poppy sound rather than one with any kind of warmth. Soundstage. The Soundstage is much better on the Momentum. What is Soundstage? The Momentum’s are definitely more of an audiophile headphone, while the Mixr is geared towards casual consumers first and foremost. Market. The Mixr is marketed as a DJ headphone while the Momentum for Travel and Commute. Color. The Mixr comes in many colors. The Momentum comes in Black, Ivory, and Brown. Price. There is roughly a $100 difference. The Momentum’s are more expensive. Weight. The Mixr is a little heavier. 210g vs. 190. Cable Length. The Mixr is longer. 1.6m vs. 1.4.Features. The Mixr has a Detachable Cable, is Noise Isolating, and has a Microphone. The Momentum has a Detachable Cable, In-line playback controls, Microphone, is Noise Isolating, and has a Volume Remote. 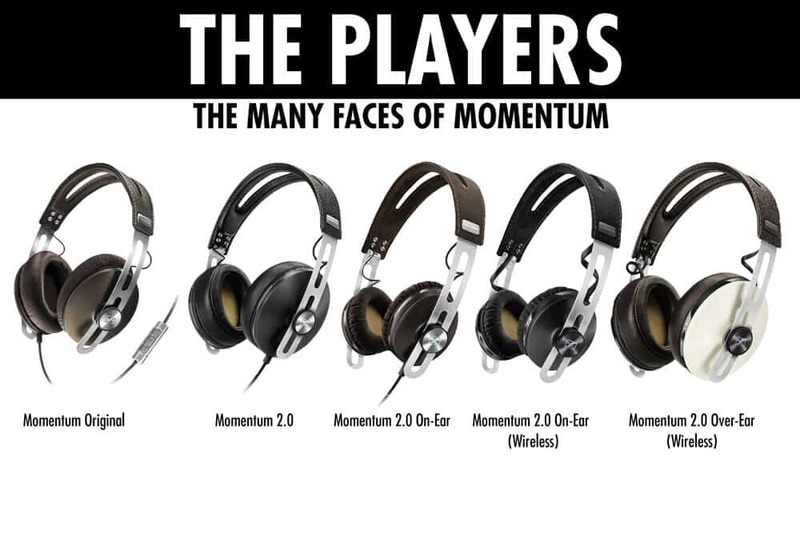 I would definitely go for the Momentum 2.0 Over Ear Wired headphones out of everything mentioned here. They edge the Mixr out because of they’re overall more natural and balanced sound. While the treble leaves a little to be desired, their mid-range and detailed bass response more than makes up for it. Their sense of depth and air make them a great solution for relaxing or on the go listening. Well that’s about it for today my friend! I hope you’ve enjoyed this article on the Sennheiser Momentum vs. Beats.